At the end of last year, the Digital Inclusion team was welcomed into the Department of Culture, Media and Sport as part of the Digital Economy Unit. The move further strengthens our focus on the digital economy. It brings work to increase digital inclusion (aka getting more people online) together with work across the digital economy – everything from skills and technology to infrastructure and cyber security. Currently, 12.6m people in the UK lack the basic digital skills and capability to make the most of the internet. That’s a very significant number and we want to do all we can, working with a range of partners to lower this number. Key barriers to this over the last few years have been engagement and motivation to get online - many people still don’t see how it could benefit their lives. We now have the opportunity to reframe this policy as primarily an engagement issue. We know that motivation is a huge barrier to getting people online and we shouldn’t shy away from that. A truly strong digital nation is one that is accessible to and joined by as many people as possible. This is about all of us being engaged in supporting family, friends, colleagues, customers…...all the people yet to realise the benefits the internet offers. That’s why the newly named ‘Digital Engagement’ team will take on some exciting projects over the coming year. It’s really important that we work with a wide range of cross-sector partners to ensure those projects will impact on the groups that will benefit most. Ed Vaizey, Minister for Culture and the Digital Economy, is going to be at the forefront of this challenge. He’ll be working closely with representatives of those sectors through a new Digital Engagement Council. 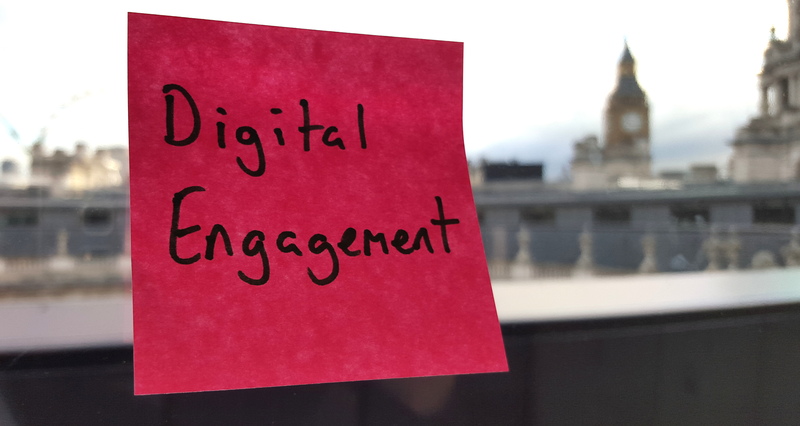 There will be more news in the coming weeks as we set out how we will work with partners and government departments to make the UK as digitally engaged as possible. Keep an eye on this blog for more developments.